S blížícím se pátým ročníkem České investiční konference jsem dostal možnost udělat rozhovor se zahraničními hosty Alexem Rauchensteinem a Ursem Martim, kteří obhospodařují fond Long Term Investment Fund (SIA) – Natural Resources, zaměřený primárně na podhodnocené akcie komoditních společností. Společně jsme nahlédli pod pokličku jejich investičního přístupu, rozebrali problematiku investování v tomto cyklickém odvětví a různá úskalí komoditních společností. Oba pánové budou mít na konferenci workshop na téma „Investiční příležitosti v odvětví přírodních zdrojů“. Níže uvedený rozhovor vám naznačí, o čem bude řeč. Hello Mr. Rauchenstein and Mr. Marti. Thank you for your time and for the interview. I believe that there are not so many Czech investors who are familiar with your LTIF Natural Resources Fund and your investment style. 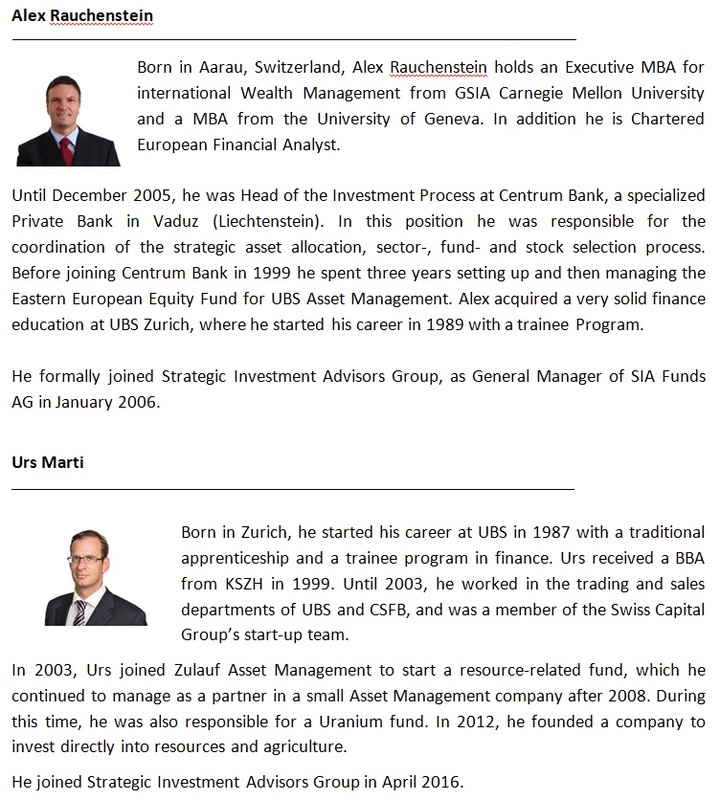 Could you please give us a brief introduction to your investment philosophy and investing process? According to our experience, commodity cycles originate from rising/shrinking production/supply. As a rule of thumb, mining/energy production faces natural depletion of 3-5% p.a. Constant investment is needed to replace production. Capex cycles are analyzed to detect commodity markets that are moving into supply shortages. When a market is entering that stage and inventories start to go down, we analyze bottom up the producing companies in that segment. The focus is on finding companies whose capex has been paid by the previous investor and the company is entering the sweet spot of declining capex and rising production/cash flow. You put yourself in a category of value investors. However it is not very usual for value investors to invest into commodity companies. At least not traditional Buffett style value investors, who are trying to find great companies with strong competitive advantage at a reasonable price. Commodity companies are more prevalent in deep value styles. Which style of value investing is closer to you? Are you focusing more on cheapness of the commodity companies or on their quality? Given the inelastic demand/supply curves of commodities, the very long reaction time of both to price changes, the capital intensity, the obstacles provided by mother nature and the fact that it is a fixed asset business means it is cyclical and always will be. We do not think the other one is right or wrong. But the metrics to focus on might differ to companies with defensive stable cash flows. Often it is helpful to look at replacement values, etc. When the nickel price goes from 50’000 to 8’000, a good mine becomes worthless as the production costs might be 10’000. The world values everything on cash flow/profit multiples. Therefore you can buy this asset below the costs/capex that was needed to build/develop it. Of course, you need rising prices to get “in the money” again, but provided one gets the cycle correct, investors get something for cents to the $ somebody else spent. There is no way around that one has to get the cycle right. As the cycles are supply driven, we follow the capex development of the companies. Companies have various assets, all are different regarding the places they are located, production costs, etc. Companies have different strategies. Replace/grow production or not. Take on debt to finance projects or rather distribute money back to shareholders. What is the right strategy all depends on the future development of prices. We like to be in sectors with constrained future supply. We look for being as “close to the cash flow” as possible. It reduces the risks associated with project execution. Preferably we look for companies whose capex phase is peaking, projects come on stream, cash flows go up, debt can be paid down, shareholder distributions kick in, etc. How do you find a margin of safety in commodity companies? Is it purely a question of low price or are there any companies with durable competitive advantage? The first margin of safety is investing in sectors that are in deficits and supply is constrained. We like cash flows and do not like project execution risk. So we do not invest in exploration. Very few projects make it into production, at least not under the same owner. Finally it has to be profitable to the shareholder under our commodity price assumptions. Mother nature has planted her richness on places with all obstacles one can imagine (and some more…). An orebody might have very high grades, but is being located in the most abundant place. In dizzying altitudes, very hot/cold places, dry/wet places, places with access to electricity, water, labor, transport, harbors, smelters, or without. Everything is different, has different obstacles and different productions costs. Often shareholders are getting cheated with IRR/production costs. The main contributing factor is the commodity price. But secondly it is depreciation. Given the capital intensity, depreciation is the biggest cost factor. Shale oil is such an example. The stated cost of fifty dollars is EBITDAX, just the cost at the wellhead. And when you have decline rates of 60% per year, one has to replace the asset every five years or so. So capex has to be written off over the asset life, and it is a hoax just to look at cash costs. The gold industry did the same from 2001 to 2007. But in the end the most important is shareholder orientation and value creation. What are you looking for, when focusing on this issue? Often major companies are forced to act in a pro cyclical manner. At high prices, everybody wants production growth, so a lot of money is being invested in projects. With a time lag, production reacts and the market is oversupplied. Then, at the bottom, shareholders demand distribution instead of capex. At the recent bottom, many oil companies adapted their strategy to 30 dollar oil. They sold production with higher costs (oil sands) for some cents to the dollar and rather distribute money to shareholders. But the flip side of the coin is that these companies will face around 5% production decline in the future. We do not think that creates shareholder value. It creates value to have a consistent view on prices and therefore have a consistent strategy and not acting in a pro cyclical manner. We think the right view is to analyze the marginal production cost. With all over- and undershooting, on the long run commodity prices revert to their marginal production costs. Do you focus more on junior commodity companies or on large companies and why? We do not really care too much about the size. We like sectors that are supply constrained for the foreseeable future. We do not like exploration companies. We like projects/companies that are in or are moving into production, capex programs that are going down. We do not want to finance drilling, it is unpredictable, a never-ending cash drain, etc. The sector is already risky/cyclical enough. So the range goes from an 80 billion oil producer to a 250 million nickel mine which is ready to restart, fully financed and goes back into production next spring. 9 year mine life and trades on 1.2 times EV/EBITDA in a year when back into production on actual spot prices. How do you estimate mine/oilfield reserves? We do not estimate them ourselves. There are official accepted standards like JORC of measuring reserves and resources. Resources are categorized as inferred, indicated and measured. Only measured resources have undergone enough sampling that a “competent” person has declared them to be an acceptable estimate. The whole resource category is highly questionable, unreliable, the estimates are often being made by the companies themselves or “experts” associated with them, the management, etc. Nobody knows what resources are worth. When it is not economic to extract them, resources are worthless. Of course, commodity prices are the most import contributing factor to this as well. Reserves are being divided into probable and proven. A proven mineral reserve is the economically mineable part of a measured mineral resource demonstrated by at least a preliminary feasibility study. Such a study must include adequate information on mining, processing, metallurgical, economic and other factors that demonstrate that economic extraction is justified. Project finance is finally based on a feasibility study. We base our valuation on the same principles. As we invest in producing/close to production companies, our valuations are based on official mine life anyway. How important are they in your calculations of intrinsic value? What else are you focusing on? Obviously important as it defines the asset life, the amount of years the capex needs to be depreciated. To make things not too complicated, at SIA we generally discount with 10% (Weighted Average Cost of Capital or WACC). We use marginal production costs as commodity price inputs. Should the company reach our internal value, we sell or look for alternatives. Now the inputs can change with time. Marginal production costs might move up, mostly due to inflation, or down due to a large technical innovation. Mine life might keep expanding due to further exploration and rising commodity prices. A lot of these companies are hedging their production. Does it play a significant role in your evaluations of intrinsic value? Yes. As we invest in sectors with constrained supply, we expect rather strengthening prices. Therefore we do not like capping the upside. Hedging is being demanded by lenders to secure future cash flows to secure interest payments on the debt. Given the described preference, some of our companies have hedge books. Companies that just built a project for a lot of money and do move into production now (with the effect of doubling the production/cash flow). Maybe a third of the actual production is hedged, maybe another 20% in the second year. But it must be in an acceptable way to manage the risk. Again, the shale industry is a special topic and we might see some cases like Ashanti there, which went bust in an environment of rising gold prices/production costs. This industry never had positive cash flows, so all has been financed with (high) yield debt, and a lot of the production is hedged. We do not recommend investing in such an industry. Commodity sector is traditionally very capital intensive. Are you afraid of rising yields and/or corporate bond spreads and subsequently rising costs of capital for commodity sector? Yields and spreads are close to multiyear lows, therefore sooner or later we can expect an increase (i.e. higher cost of financing). Rather the opposite. Usually, rising rates come along with rising inflation/commodity prices. Maybe it is the chicken-and-egg question and rates rise due to reduced availability of natural resources. The closer to the cash flow you are, the more you benefit. When your mine only exists on paper, it still has the whole financing risk. Not just rising rates, but also the whole cost inflation to buy and build the stuff. When your project is built, your financing needs decline, you pay down debt, etc. (provided that your IRR calculation is correct and you start producing free cash flow). Cost inflation/rising rates are particularly beneficial to capital intense business, provided that the project is already built and has a long asset life. It increases the replacement value and hikes the marginal production costs for new additional supply, therefore it leads to rising prices. Commodity business is very cyclical. It takes a lot of time and capital to open a new mine/oilfield in case of increasing demand, but on the other hand companies are also very reluctant to close them in case of lower demand. Do you monitor these long term supply/demand trends and how do they affect your estimate of intrinsic value? Yes, that is what it is all about. As you say it is inelastic on both sides. Often a mine cannot be taken on care and maintenance as you have to continue production to pay interest and dilute the shareholder with capital increases. And it is fixed asset/sunk cost. You cannot run a mine on half of the production. You still need to run trucks and shovels. The costs are the same to run the infrastructure on half or full capacity. Lithium might be an example of a commodity which we do not invest in. Due to the whole EV story, a lot of capex has been spent and production is expected to double. Let’s hope the EV story/demand really plays out like expected, otherwise there will be a huge oversupply for years to come. Unfortunately, the future growth of EV’s does not only depend on the availability of Lithium. Many factors will play a role. The availability of electricity, the distribution of it. An EV needs 5 times more copper than a normal car. Ten times more nickel, other ingredients like cobalt, aluminum, etc. The production of copper, zinc, nickel, cobalt will rather decline in the coming years due the collapse of investments. Could you give us an example when you were totally wrong regarding the future trend and what was the subsequent impact on your portfolio? In summer 2008, before the financial crisis really started, we were quite a bit exposed to so called junior mines in different industrial metals. Several of these companies were still in the build-up phase and did not have the financing for all their planned projects in place. At this very moment the financial world market had a “heart attack” and was frozen, which meant nobody trusted anybody any longer. With the result that our companies had no idea when and if their projects will ever be financed. Accordingly, our valuations on these companies that included their future projects became very wage not to say wrong because it does matter a lot when and if they could ever go into production. The short-term impact on our portfolio was very hefty and that is one of the reasons why we started focusing primarily on companies that do not have these risks. A lot of commodity companies are state owned and if not, there is always a risk of nationalization of companies or mines/oilfields in different part of the world. How do you deal with this risk? As soon as prices rise, cash flows do increase, everybody wants more. Government, contractors, workers, CEOs, shareholders, etc. It happens in every cycle. We try to avoid the worst regions. Usually, socialism develops over a long time and the outcome is foreseeable like in Venezuela. We would not invest in South Africa where the country goes the same way as its neighbor Zimbabwe did. It is unavoidable that geological richness does not follow political boundaries. But when investing in smaller companies, we prefer to be in political stable regions like Australia, Canada, etc. (unfortunately, there is also a taxman with growing appetite and political risks might be underestimated in “safe” places and vice versa…). Bigger companies tend to have a diversified portfolio and also better “negotiation power”. Often these companies are the big taxpayers and providers of jobs. Outright nationalization usually collapses the economy of a country as foreign investment dries up. One has to end up with a diversified portfolio. Diversified commodities, countries, companies, projects. Do you think that the commodity companies are still cheap on relative and also absolute basis, even after several years of bull market? At the moment, commodity markets do rather end the worst bear market in history. When dividing global commodity indices like the GSCI or the CRB by the S&P 500, meaning valuing the CRB index in the S&P 500, they have been trading on such depressed levels only twice during the last fifty years. One was at the beginning of the 70ies and the other point in time was around the millennium. Kdo je Alex Rauchenstein a Urs Marti? 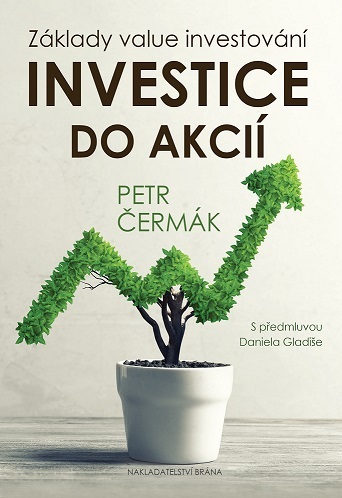 Stránky o fondu Long Term Investment Fund (SIA) – Natural Resources naleznete ZDE. Stručný popis investiční filosofie fondu naleznete ZDE, detailní pak ZDE. Detailní popis investiční strategie fondu Long Term Investment Fund (SIA) – Natural Resources naleznete ZDE. Previous PostChytat či nechytat padající nože na akciových trzích?